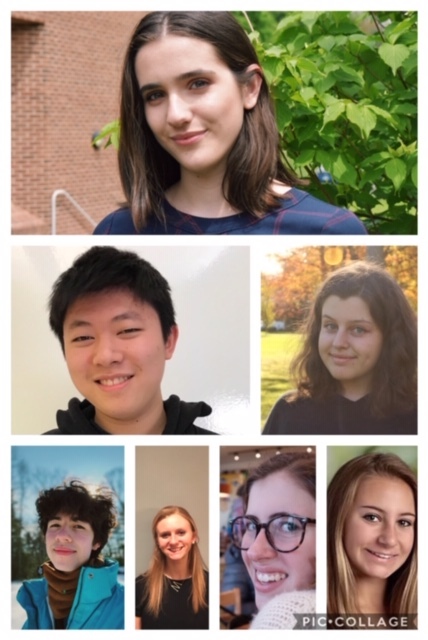 Seven students from William H. Hall High School have garnered recognition in the 2019 Scholastic Writing Awards (Northeast Region-At-Large). 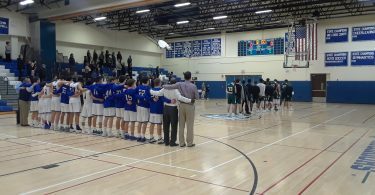 They are seniors Luke Aubin, Mia Ferguson and Sarah Lewis, juniors Nina Faynshtayn and Lauren Sussier, and freshman Nora Holmes and Charles Wang. Founded in 1923, the Scholastic Art & Writing Awards are the nation’s longest-running, most prestigious educational initiative supporting student achievement in the visual and literary arts. In 2018, students submitted nearly 350,000 works of art and writing to the Scholastic Awards. At the regional level, approximately 5-7 percent of the works receive Regional Gold Keys, 7-10 percent receive Silver Keys, and 10-15 percent receive Honorable Mentions. Gold Keys honor the very best works submitted to local programs and are automatically considered for national-level recognition. Silver Keys recognize stand-out works that demonstrate exceptional ability. Honorable Mentions recognize accomplished work showing great skill and potential. Sarah Lewis received 12 recognitions: two gold keys for separate writing portfolios, one focused on poetry and the other on prose. She earned three additional gold keys for a critical essay, a dramatic script and a poem. She also received three silver keys for poetry and four honorable mentions for poetry and a critical essay. Charles Wang was honored with six awards: a gold key for his short story, three silver keys for poetry and short stories, and two honorable mentions for a critical essay and poetry.